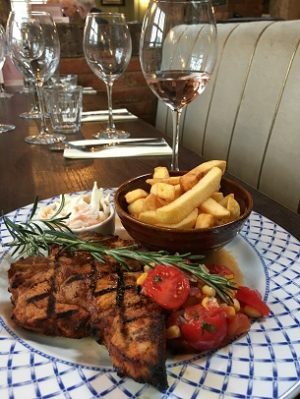 We are delighted to be part of the Bletchingley community offering freshly prepared food every day to suit all ages, from bar snacks and a pint, to a 3 course slap up meal and our private dining room, with TV, offers a great venue for business meetings, sporting events and family celebrations. 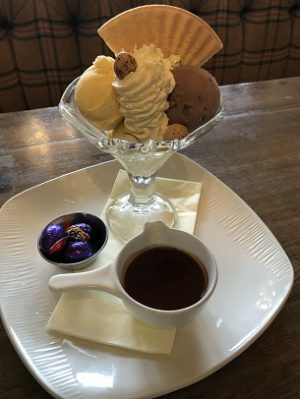 We have an extensive children’s menu and large play area complemented by outside dining huts and spacious pub garden. With Greensand Ridge and beautiful woodland nearby, we have a planned ifootpath walk and welcome doggies in the bar! We were delighted to be runner up in the 2016 and 2017 Surrey Life Food & Drinks Awards. iFootpath have created a 4 mile pub walk beginning and ending at The Bletchingley Arms to help you work up an appetite!